PE, sport and well-being are a huge strength of Dame Dorothy Primary school. We believe that a high quality PE curriculum and a healthy lifestyle has significant benefits for children. That’s why at Dame Dorothy we are seeking to create opportunities inside and outside of school for children to participate in a variety of sports through top quality coaching and competition. 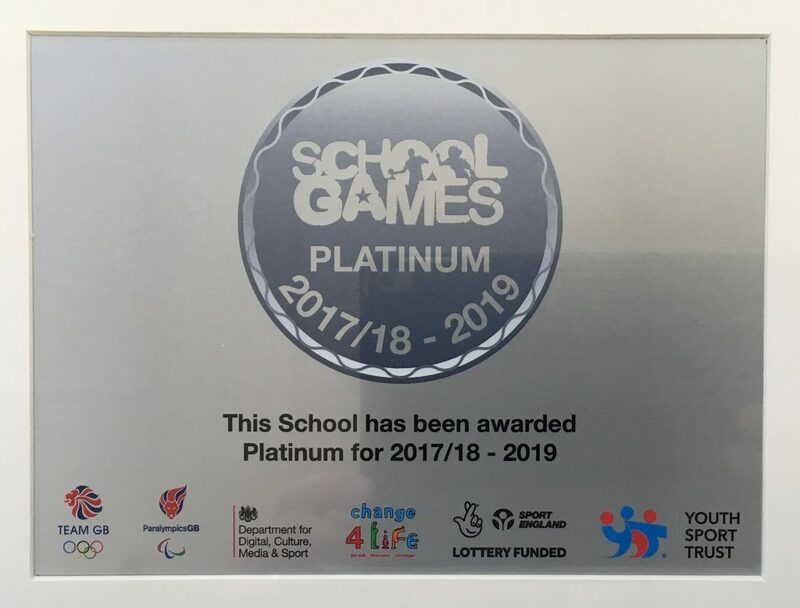 We are very proud to have received recognition for our commitment to PE and sport through the ‘Platinum’ Sports Award, given only to those schools who have achieved the gold standard over four consecutive years. We also received the Active Sunderland 2017-18 Gold Award.